Go Dawgs! Napkins (Qty 25) - choose Black or Red! 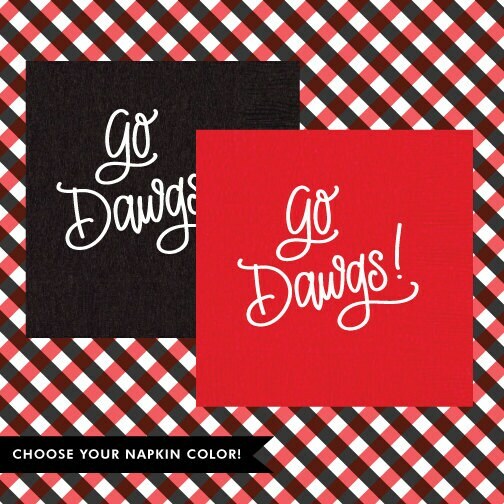 White Foil Lettering with Hand-Lettering printed for "Go Dawgs!" Shipped on time. Hoped the lettering would have been bolder. Will use seller again! Easy to work with!